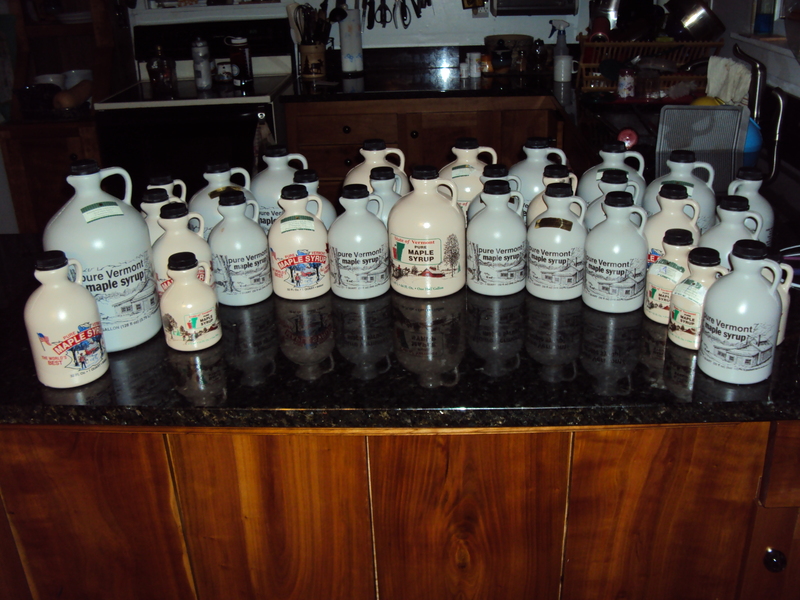 Our families have worked many long hours to make you the highest quality maple products you can find! We hope you will try all that we have to offer and share these treats with your own families and friends. We want to extend to you a warm welcome to come and visit our farm. 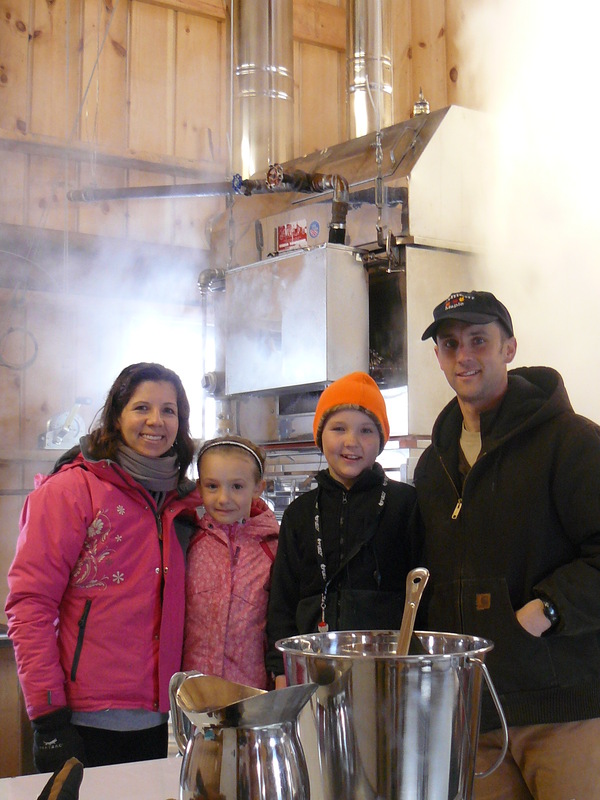 Come and see how Vermont's Pure Maple Syrup is produced and enjoy free samples while you are here! 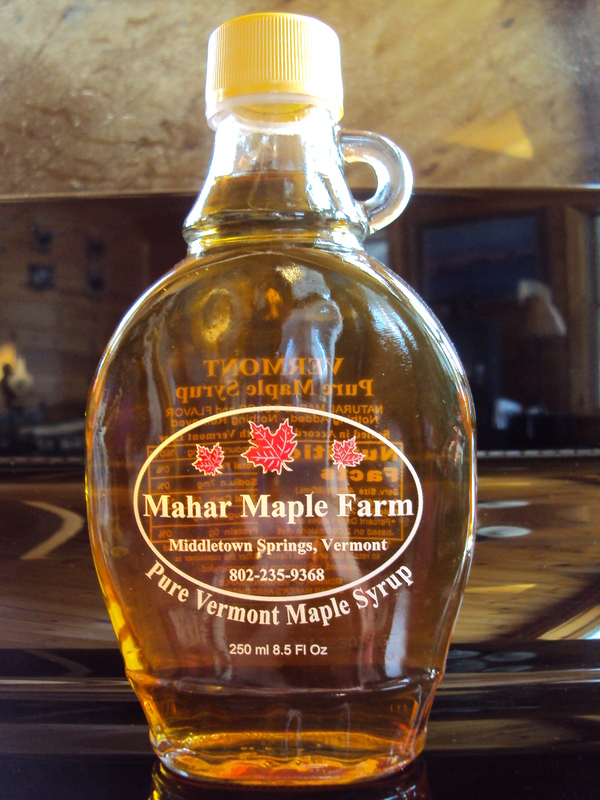 100% Pure Vermont Maple Syrup. All grades. Vermont Fancy, Grade A Medium Amber, Grade A Dark Amber and cooking Grade B. Note that this year we will still be using the traditional grading and labeling system for our syrup. Next year we will convert to the new International Grading System as mandated by Vermont state law. 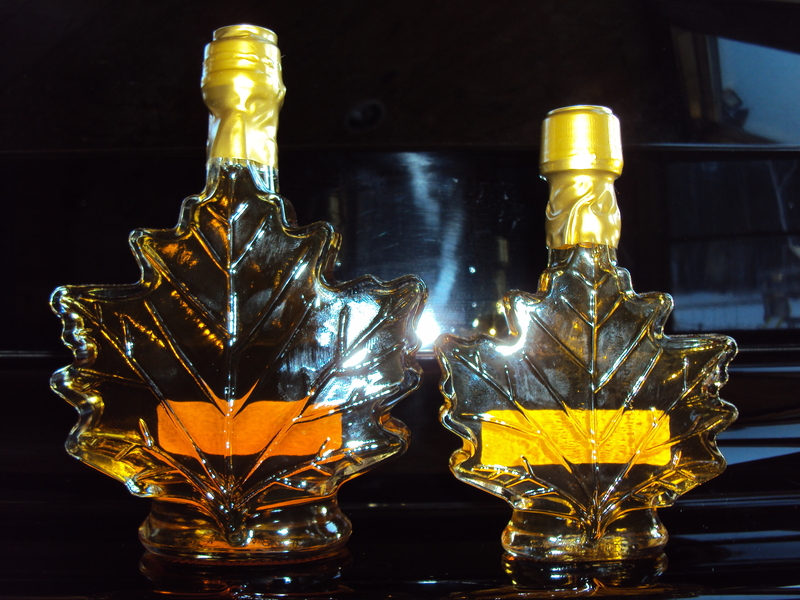 We also package our syrup into beautiful glass bottles of all shapes and sizes!! These make for great gifts for all occasions! 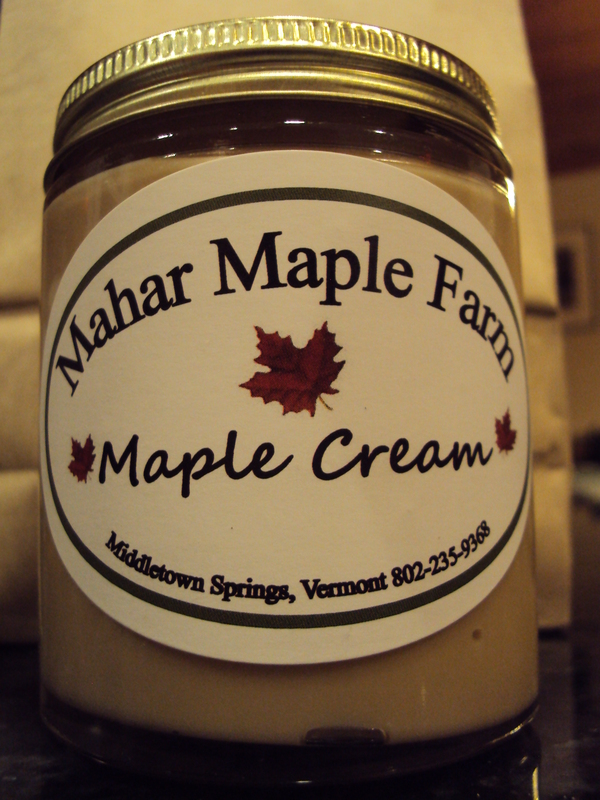 Our Maple Cream has turned out to be our best selling confection product! This stuff is unreal! It is used as a spread on toast or crackers or waffles. Can be a topping for ice cream. Or just eat it right out of the jar!!!!! ​​Maple Cream is simply our maple syrup cooked to a high temperature, then immediately cooled and then spun until the liquid crystalizes and forms the cream. There is nothing added. We package in 1/2 pound and full pound glass jars. The 1/2 pounders are our most popular size. Maple Sugar is made by boiling the already produced maple syrup to a very high temperature and then stirring the liquid until all of the liquid evaporates. This leaves you with an all natural granuated sugar. It can be used as any other sugar sweetener is used. Granuated sugar can be put in a shaker and used for toast with cinnamon. It can be used on fruits, salads and more. We use it in our coffee for our sweetener. The process of making the sugar requires sifting the sugar through a screen. 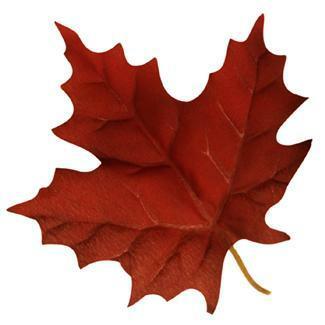 This leaves behind larger chunks of sugar which we call our Maple Crumbles. These larger crumbles make for unique toppings on cupcakes, cakes, ice cream, yogurt and more. They also can simply be eaten as a candy or mixed into a trail mix!! !​​ We package in 1 Pound bags. 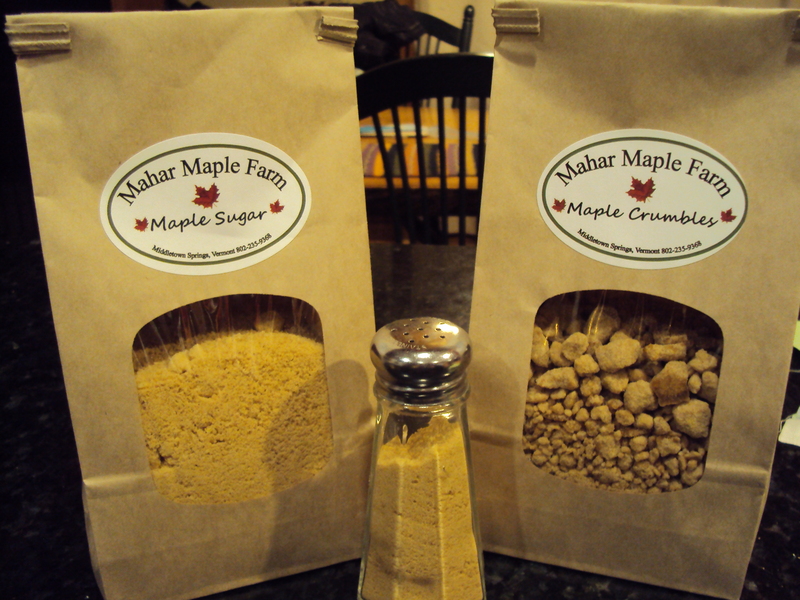 Maple sugar has a very long shelf life. 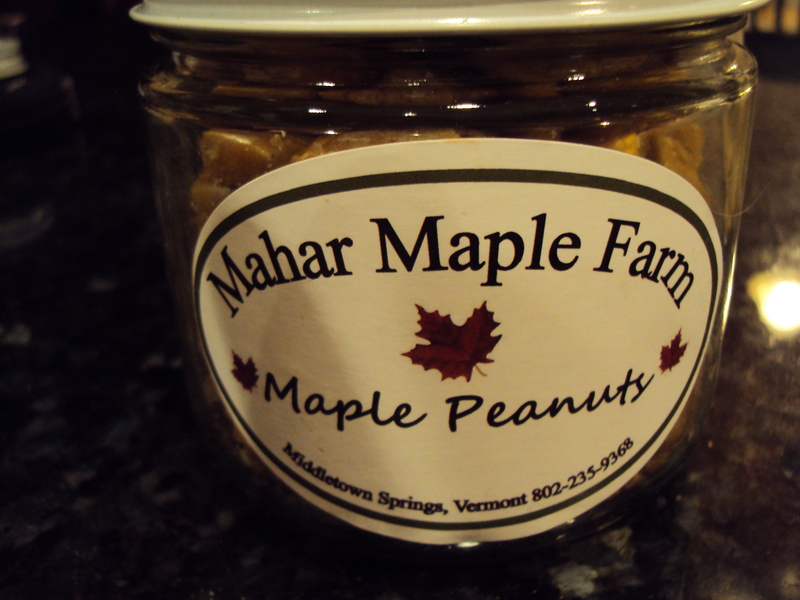 Mahar's Maple Nuts are a popular treat! We use our maple syrup and boil it to a high temperature. It then is immediately used to coat the nuts. The nuts are then placed in an over for 8 hours to cure and then packaged. We use peanuts, cashews, pecans and almonds for our Maple Nuts. You have to try these. Once you open a jar and try one, usually the whole jar is empty in a short period of time!! Enjoy! We package all our nuts in 5 oz. glass jars.